Baby travel systems are a common purchase for new parents. A color-coordinated stroller and tiny infant car seat carrier are appealing to budget-conscious and style-conscious parents alike. Many parents complain about bulky travel system strollers or hard-to-use car seats once the baby arrives, though. Before you buy a baby travel system, consider how you will use the stroller and car seat to be sure you're buying a system that works for you and your new baby. When buying a baby travel system, you must choose the car seat first. While strollers add convenience, the car seat will keep your new baby safe in the car. Narrow down your choices quickly by selecting travel systems with car seats that fit tightly in your vehicle and that you can easily install and use. Look for 5-point harnesses on infant car seats, and check to see whether or not you can install the car seat without the travel system base in case you need to switch vehicles quickly. Lots of inexpensive travel systems come with a cheaper car seat, too. While price isn't always the top consideration, you might miss out on features you really want by choosing a pre-packaged system. One common feature on cheaper travel system car seats is a rear-adjust harness. That means you have to look at the bottom or back of the car seat to tighten or loosen the harness. The drastic reduction in convenience means some parents don't use rear-adjust car seats correctly. Travel system strollers come in all shapes and sizes. You can choose from lightweight strollers, full-size feature-packed strollers, and jogging strollers. If you'll keep the stroller in a vehicle, check to see how well it will fit and how much space is left over. If you prefer a larger stroller, consider where you will use it and whether it will be hard to navigate cramped spaces with a wider stroller. 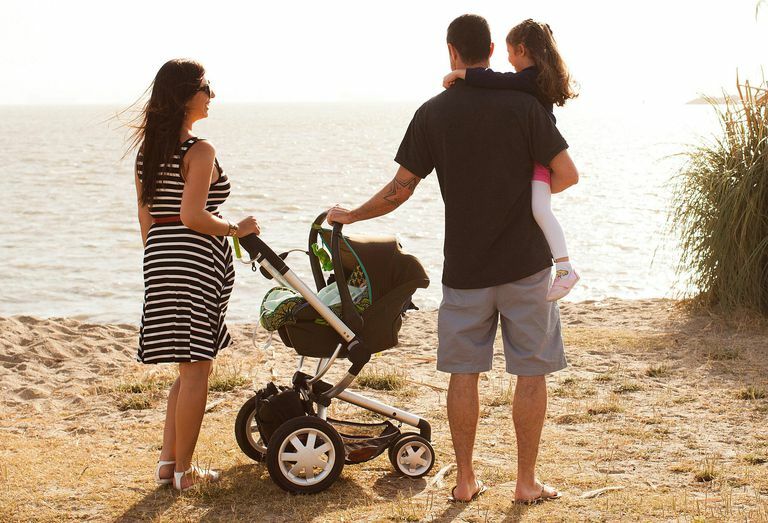 Jogging strollers handle any terrain, but don't always fold as easily for trunk storage. The good news is that manufacturers are making better and more flexible baby travel systems all the time. No matter what you want to do with that stroller, there's probably a travel system to accommodate your needs. Of course, you may not be able to find your ideal travel system stroller for a rock-bottom price, but if you'll use it constantly, it may be worth an investment. If you can't find a ready-made travel system with a car seat and stroller that you love, create your own with separate car seats and strollers. Many stroller companies make adapters for the most common infant car seats, so it's usually easy to pair different brands together. If you don't want to buy a full-size stroller and don't want to carry the infant car seat, consider buying a universal stroller frame that snaps to the car seat bottom, letting you wheel baby around without taking the little one out of the car seat. Stroller frames are inexpensive, and let you decide on a full-size stroller later when you have a better idea of how you'll use it. Do You Need a Travel System at All? A lot of experienced parents say they wouldn't buy another travel system. Why? Often the strollers are bulkier than they prefer, and many parents find that they'd rather carry baby in a backpack carrier or sling than in a stroller or infant car seat. Obviously, you do need an appropriate car seat for your baby, but a stroller and infant carrier car seat combination isn't required. You may want to buy a car seat now and decide on a separate stroller or baby carrier later. Pediatricians, car seat safety experts, and safe sleep experts all recommend that you minimize the amount of time your baby spends in a car seat. About an hour at a time is the upper limit, and the car seat shouldn't be used as a sleep space for naps or bedtime. Some babies who spend a lot of time in their car seats can develop flat spots on their heads, as well. If you'll be out and about with your baby for long stretches of time, a baby carrier, the stroller, or a flat bassinet might be a better choice. Are Used Travel Systems Safe for Baby? A used car seat isn't generally considered safe for re-use. If you can't verify the car seat's crash history or if the car seat is more than 6 years old, don't use it. You need to conduct a thorough recall search on used car seats and strollers and be sure that the items still have all of the original parts including instruction manuals. Used strollers can be safe so long as they meet safety standards and are not under recall.